In order to cut prices of patented medicines for cancer and rare diseases, a high-level government panel has made a series of far reaching recommendations including granting “compulsory license” to any Indian pharma company to produce drugs without the consent of the patent holding firms. The report, a copy of which is with PTI, also recommended putting a ceiling price on life-saving medicines after analysing the Purchasing Power Parity (PPP) of various countries, a standard followed in majority of the western world to fix medicine prices. Multinational pharmaceutical companies sell most of the patented drugs in India and they have been vehemently opposing any sort of price cap or grant of compulsory licensing to any other company to produce drugs being sold by them. The Indian pharmaceutical market has an annual turnover of around Rs 2.3 lakh crore. While majority of these revenues come from sales of generic drugs, around 30 percent of it comes from patented drugs. The committee noted that the prices of patented anti-cancer and antifungal drugs are “on the higher side” and cited the example of Rs 1 lakh being the price for just one injection for cancer treatment. It said there is a need to moderate the prices of patented anti-diabetic drugs and also recommended that patent owning companies should be “encouraged” to give “voluntary licenses” to other pharmaceutical companies. Moreover, it has stated that the government should explore procurement of more drugs at lower rates for public health care systems through negotiations with pharmaceutical companies. 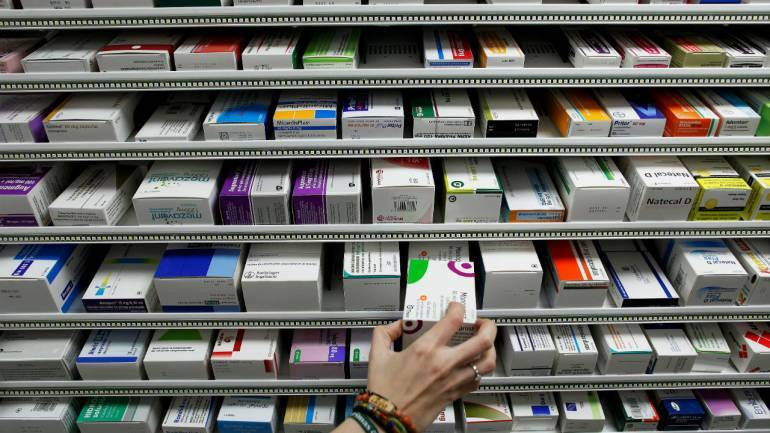 “The committee after a detailed analysis has come to the conclusion that it is important to put in place an effective mechanism to regulate the prices of patented medicines in India,” the committee’s report stated. Officials said the government is examining the panel’s report finalised around March last year. If a company develops an innovative drug, it is granted an intellectual property right for 20 years in the form of a patent. During these 20 years, the patent-owner company can prevent any other company from manufacturing the same medicine, according to existing norms. Worried about “high prices” and “unaffordability” of patented drugs in India, the Department of Pharmaceuticals (DOP) formed this inter-ministerial committee of Joint Secretaries to “suggest ways and means to fix the prices of patented drugs in the country”. According to a source, the committee submitted its report during February-March last year. However, on January 3 this year, the DOP announced new patented drugs as well as drugs used to treat “rare diseases” would be exempted from price control for a period of five years from the date it is marketed in the country. Till the January 3 notification, the DOP had the powers to bring patented drugs under price control through powers given under the Drug (Prices Control) Order 2013. However, the DOP or National Pharmaceutical Pricing Authority (NPPA) rarely used these powers to cap prices of patented drugs.The NPPA works under the DOP only. Besides recommending compulsory licensing, the report added that “voluntary licensing arrangements between a patent holder and another party” in a country “may afford opportunities for significant cost-containment and therefore the same may be encouraged”. The Department of Industrial Policy and Promotion (DIPP), NPPA and the Ministry of Health and Family Welfare were also part of this committee.The Indian Patent Office works under the DIPP. On November 29 last year, Union Health Secretary Preeti Sudan wrote to the DIPP and the DOP asking them to “bring drugs used for treatment of rare diseases under compulsory licensing so that their costs become reasonable and affordable to the patients”. The World Health Orgnaization (WHO) defines “rare disease” as often debilitating lifelong disease or disorder condition with a prevalence of 1 or less, per 1,000 population. Some common rare diseases are Haemophilia, Pompe disease, Thalassemia, Sickle-cell Anaemia and Gaucher’s disease.